Supplements and ergogenic aids have been used throughout the years to promote health, improve exercise performance, and push human ability. Even though some aids, including caffeine and creatine1, have shown incredible promise in improving exercise performance, the vast majority of supplements have not been tested in a reliable setting, nor do they show consistent scientific evidence backing their claim. In the past year, there have been dozens of scientific publications on the intake of oral nitrates to improve exercise performance and human health. From a physiological perspective it would make sense that increasing nitrate bioavailability might improve the ability of our muscles to produce work. However, even when something proves promising in the laboratory it can have failed effects in practice. Nitric oxide (NO) is a powerful messenger molecule in your body. NO is formed from L-arginine in the endothelial cells that line your vasculature. Due to the relatively small size of NO, it is able to diffuse freely across membranes where it can act as a powerful vasodilator to increase blood flow to muscle. NO also helps modulate calcium homeostasis within skeletal muscle to improve contractility2. Working muscle requires more blood and more calcium, so increases in NO might naturally improve muscle function during exercise. Sounds pretty good so far right? The issue with increasing NO surrounds its bioavailability. NO is produced and degraded very fast, in a matter of seconds, so we simply cannot ingest NO to increase levels of it (it’s also a gas). Instead, we must increase the amount of precursor molecules to bolster NO synthesis within the body. Studies increasing L-arginine ingestion do show promise in improving vascular health3, however there remains practical considerations surrounding L-arginine. You need several grams per day to elicit any benefit, and L-arginine has a bitter taste. In clinical studies BRJ has been shown to reduce hypertension, and to act as an anti-inflammatory4. When ingested, dietary nitrates are reduced to NO in vivo and increase NO concentration. 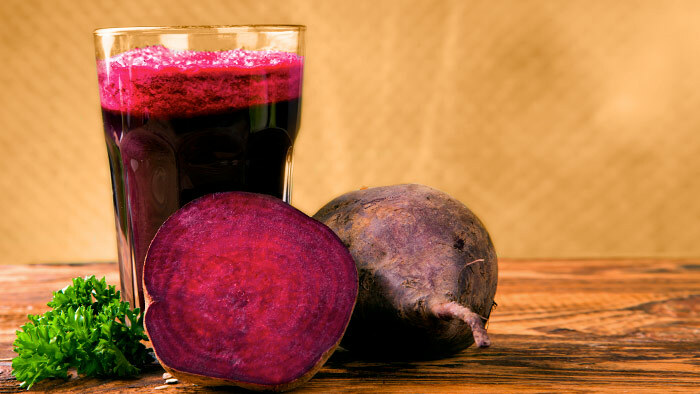 Dietary nitrate found in BRJ also has an extremely high bioavailability with near 100 percent absorption5. Unlike L-arginine, BRJ is actually a palatable food, and you don’t need to drink gallons of it to see any effect. In most of the research, the examined dose of BRJ was in the 100-200 mL range, or about 4 to 6 ounces. Blood flow to working muscles through increased vasodilation. Skeletal muscle contractility through increased calcium release. A study published last December showed that BRJ supplementation improved maximal muscle power by 4 percent in untrained individuals doing extremely short “burst” exercises on a bike. The authors claimed that BRJ may benefit power-sports athletes who perform very brief, explosive actions6. Another study done by a different lab showed similar results. Ten team-sport athletes were subjected to high-intensity cycling tests over multiple days with and without BRJ ingestion. The group taking BRJ sustained significantly higher power during intermittent, high-intensity exercise7. 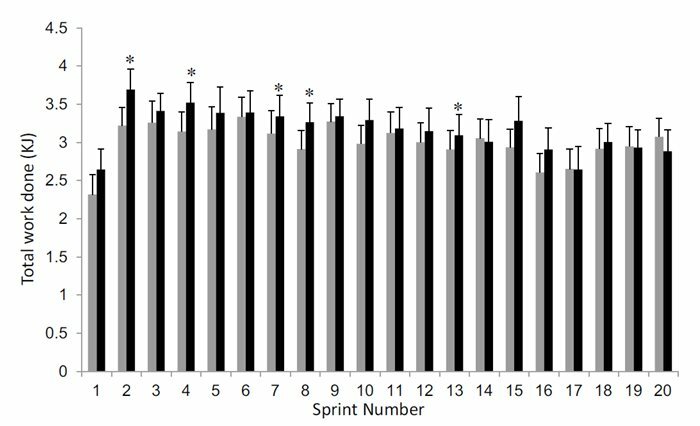 Finally, in a study of 16 participants BRJ supplementation improved sprint performance and reaction time, and more importantly prevented cognitive decline during prolonged intermittent exercise8. Another interesting effect of BRJ supplementation appears in a high altitude environment. At higher altitudes the air is thinner, and it becomes harder for your body to get oxygen to your muscles. The human body will naturally acclimate to this by improving red blood cell formation so that your blood can carry more oxygen. Aside from exercise, BRJ improved vascular function at altitude in healthy individuals9 and the authors promoted acute dietary nitrate supplementation as a good strategy to ensure proper endothelial function in those entering high altitudes. In another double-blind crossover study, 12 subjects completed cycle tests in either low or normal oxygen environments, with or without BRJ. The authors showed that in hypoxic conditions BRJ enhanced oxygen kinetics, and improved exercise tolerance. In line with the previous study, these authors promoted BRJ as a useful supplement to take at altitude10. BRJ supplementation might also reduce lactate accumulation in the blood while at altitude11, which would help explain increases in exercise tolerance. Even when not taken at altitude, BRJ has been shown to increase exercise tolerance at high-intensity, and to increase red blood cell content in working muscle12. So is science in complete agreement that BRJ is the next, best workout supplement? Not exactly. In elite endurance athletes BRJ supplementation did not consistently enhance running performance13. An additional study in well-trained cyclists showed no improvement from BRJ on time trial performance in normal or hypoxic environments14. This research infers that elite athletes gain no advantage with BRJ. However, the other studies mentioned hint that those with average fitness taking BRJ appear to increase power output and improve exercise tolerance slightly, especially while at altitude. Like everything we feed our bodies, more research needs to be done on BRJ to determine the exact mechanisms by which it might improve exercise, to what extent, and in what specific populations. 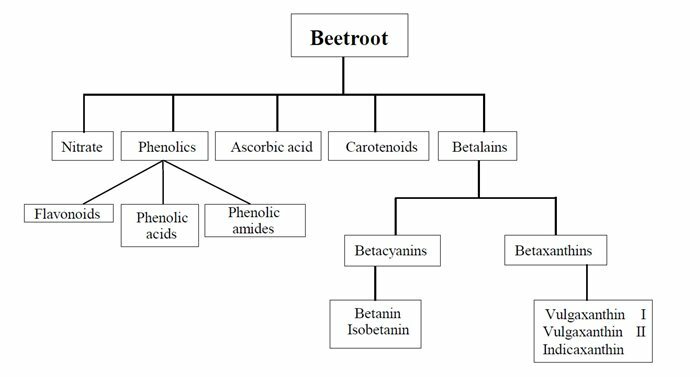 Aside from its effects on human performance, we know that BRJ contains health-promoting phytochemicals14 just like every other vegetable. However, the exact effect on exercise and the underlying physiological mechanisms remain unclear. Kevin Schill, MS, is the Chief Physiologist and Head Running Coach for BASE Tri Fitness. He has authored and co-authored several scientific publications on exercise science, muscle biology, nutrition, and molecular biology. For more information on personal coaching, testing, and research visit basetrifitness.com.